This is one of the best videos I’ve seen in a while. Jon Jondai does an excellent job of weaving together the importance of natural building and creating a happy life. It’s well worth turning up the volume a little and listening carefully. 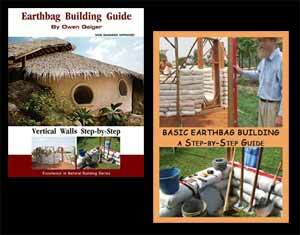 I had the pleasure of interviewing Jon Jondai for an article on Earth Building in Thailand. Later I found out he is a national hero or celebrity of sorts. He has been influential in inspiring and training people who went on and built over a thousand earthen houses in Thailand (probably way more by now). Jon is also the author of a best selling book on the subject – Building a House with Clay. Thanks to Michael at the Tiny House Design Blog for bringing this to my attention. can i comw to tou nwxt mounday 25 april? i need stop few daybin a light plice! can i come whot my private tent? I was touched by the spirit of this man, Jon Jondai. Goodness seems to radiate from him, AND, he offers a practical message for those living on earth with him. I like it when “holy men” offer practical solutions to the situations they find themselves in. Thanks Owen (& Kelly and his dear wife)for the new blog site and for featuring this gentle and giving soul so we could meet him. I’d like to open this up to positive comments. What are your favorite online resources for simple living? Or maybe you have a success story to share. My success story is avoiding the need to purchase a car thus far, and using my bike for transportation. I’m glad you posted this when you did Owen, I’m almost done with college and stressing about how and when I’ll get a job, and feeling pressure from people to take out loans and get a car and a proper apartment. Not to mention paying back loans and climbing the corporate ladder to give me a sense of validation to the time and money i’ve spent learning. This video was a good reminder on why I keep coming back to your’s and Tiny House’s Blogs. I want to live my life like that, simply, and stress free. I’m nervous on how to accomplish something so primitive though in a hyper-modern and opinionated environment. I’d like to learn how to make primitive living work in a modern society. Maybe work part time to cover insurance costs? Invest enough money to cover the bare basics with dividends/interest? Ya, after seeing my parents struggle with their mortgage and barely finding time for their hobbies, I know the rat race can be a imprisoning dilemma. I like the idea of building a structure on borrowed land, and the owner keeps the structure when time is up; I can definitely imagine it being a good option for students like you said. Once I get out there, I may see if someone would be willing to do a trade like that. Thanks for the link too! The YouTube comments were interesting. Many people liked the video. But some people focused on the negative and how this could never work for them instead of searching for ways to improve their life. I felt there were some good points about taxation and land codes though. I can imagine it can be even tougher in the city or suburban areas.